Very often one hears of or reads about some bizarre occurrence where the phrase the ‘truth is stranger than fiction’ immediately pops into the head. In today’s world though, strange happenings no longer have the same shocking effect they once had. We’ve become so accustomed to reading about ‘strange stuff’ that we no longer reel in shock. This recent story reported by the Hindustan Times, from Tinsukia, a place in the state of Assam in North East India, had mixed reactions from most people. Some saw it as poetic justice while others marveled at how a measly rat could bring the lives of quite a few people to a standstill. What did this little vermin do to cause so much strife? Well, he lived inside the ATM machine in this town and chewed his way through almost 17 thousand dollars – 12 lakh rupees, to be more precise. People wondered why the ATM was constantly out of order and the bank received numerous complaints about the same. Although the government has tried switching to a cashless economy, most places in India, especially smaller towns, rely on cash for almost all transactions. So one can imagine the agitated state of the people trying to unsuccessfully to use this machine. The bank only opened the machine after twelve days when the number of complaints kept increasing. Imagine the shock the officials must’ve got when they chanced upon the confetti of notes! 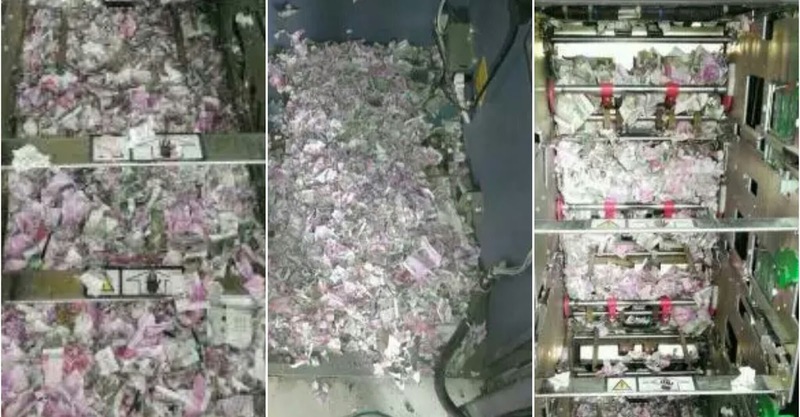 Almost every note in the machine had been shredded to bits. They were quite taken aback for a while, and although they ‘smelled a rat’ they could not quite pinpoint the exact culprit. However, it did not take them much time to find the shriveled body of the ‘rogue’ rat. The irony of this rather bizarre tale is that one can draw a parallel between the dead rat devouring the notes and meeting his end, with real-life situations. In today’s rat race so many are enamored by riches and wealth and in their desire to accumulate more, they sometimes end up like the dead rat. Gone before they can actually enjoy what they spent their lives chasing.